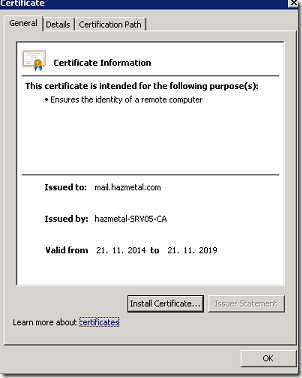 Having a certificate template that would last for years is a requirements that’s become more of a need during these days due to the amount of time it takes to renew the servers which are certificate dependent. 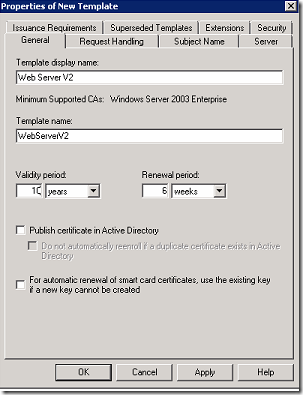 Some servers would automatically be renewed their Certificate using GPO’s auto enrollment however when this doesn’t work or if you don’t like dealing with GPO and its headache then the best way to solve this is to create a template that would last for sometime and leave you at peace. 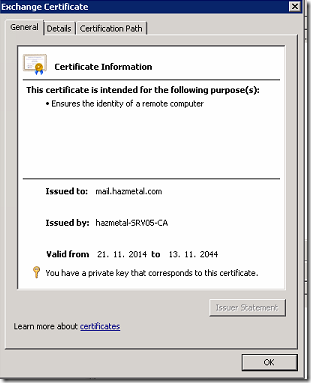 Note that having a long term certificate (10 years for example) is not a good practice since encryption algorithm changes over the time and security related issues rise up every now and then so if you decided to go with this article and create 10 years template for your servers, you will need to keep an eye on latest news related to certificates, encryption and signature algorithm so they are not exploitable. 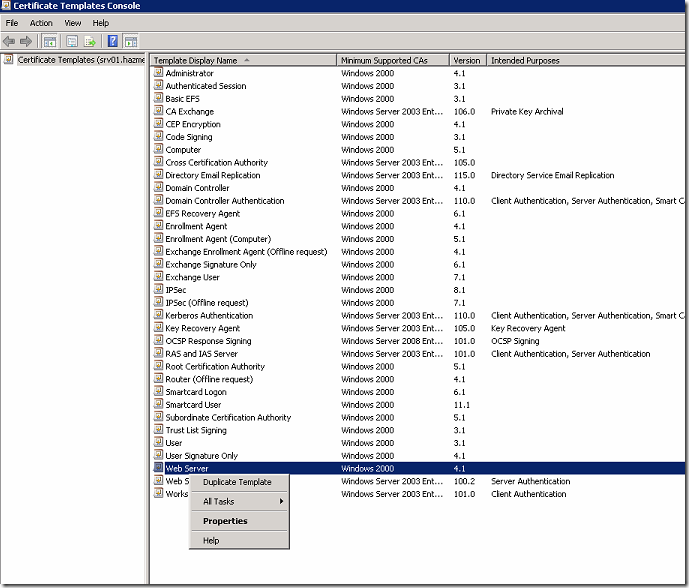 To begin with this article, I will tell a small story of a company that had suffered production disasters due to this might look tiny kind of problem. 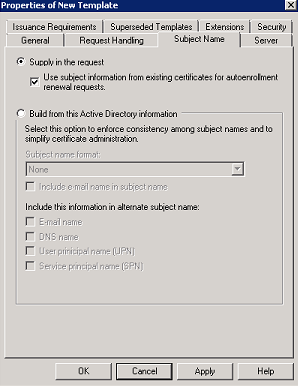 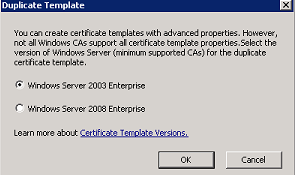 A company called AP have deployed Lync 2013 (Currently Skype for Business) and decided to use the default CA (Webserver) template which lasts for 2 years by default. 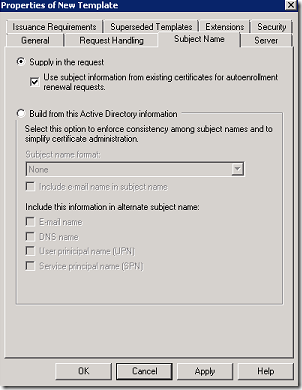 This company called me when their Lync servers were all down and PSTN calls were not going through so the first thing that came to my mind is to check Services and as soon as I saw services were not able to run I checked the eventlog’s Lync tab. The errors were mostly referring to an expired certificate. 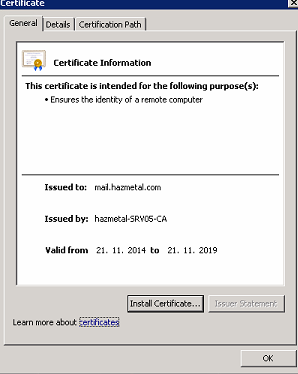 upon renewing the certificates for all servers everything went back to normal but that took long downtime and delayed the company’s productivity. 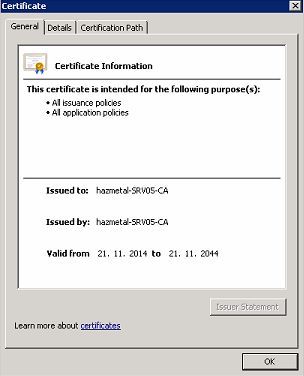 Certificate is generated for 5 years. 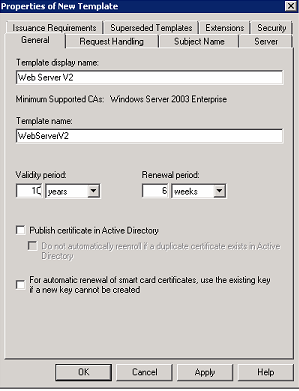 The reason why the certificate is generated for 5 years is because the Certification Authority server’s Certificate is limited to 5 years. 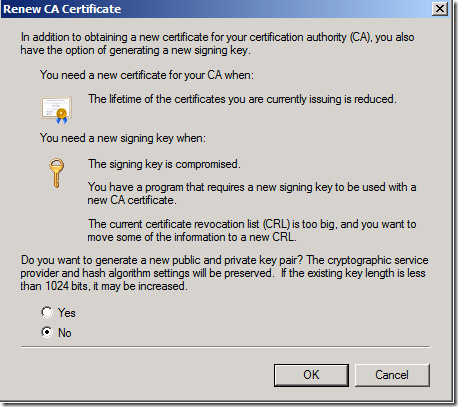 So the CA certificate must be set to longer then the client’s requested Certificate limit. 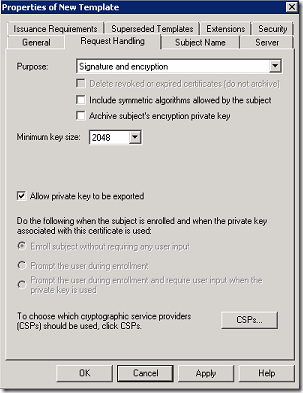 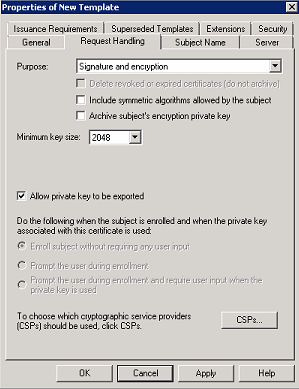 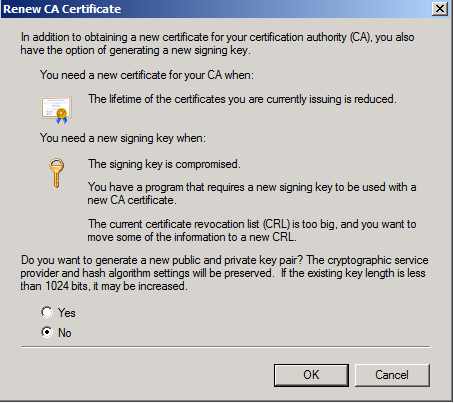 Once you click on Yes the service will stop and you will get this window telling you if you would like to generate new public and private key it’s up to you to use a new or not but if you choose Yes the clients using the old Certificate might be provoked and you might need to install the new CA Certificate on all clients using GPO. 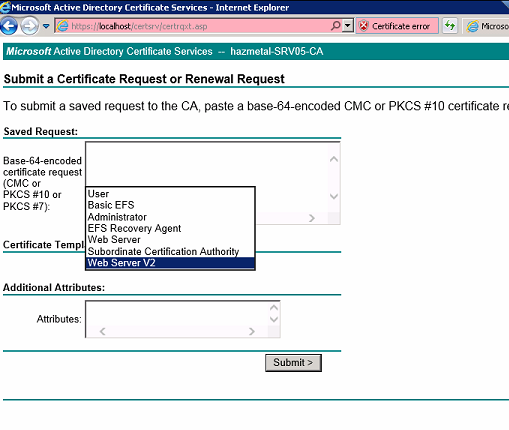 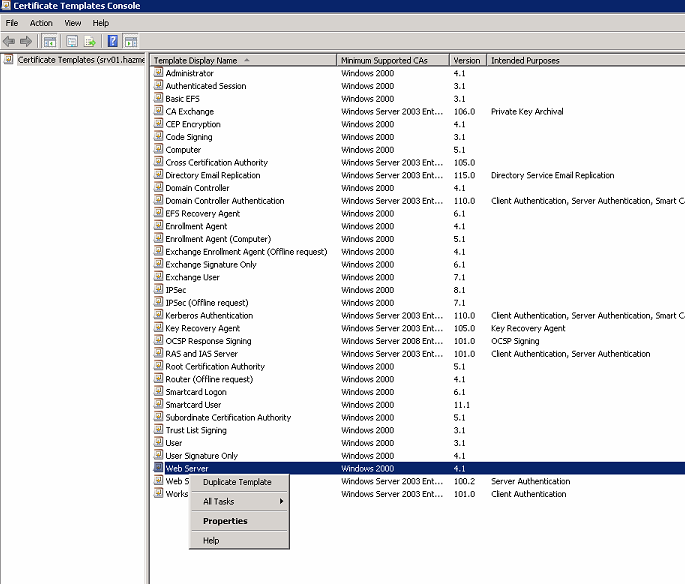 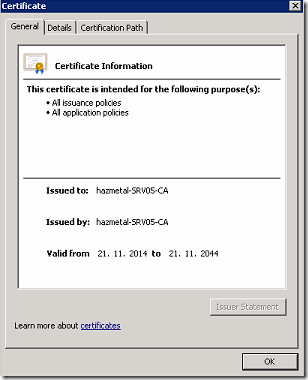 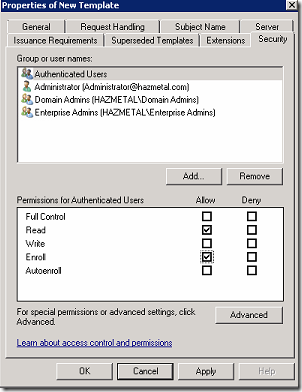 After clicking OK you will see that you were able to generate the new CA Certificate and then you can issue clients certificates. 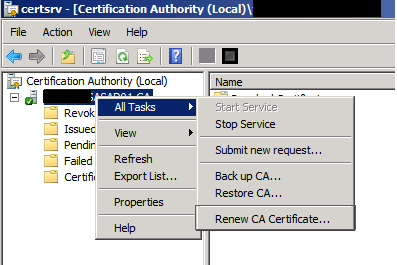 In order to allow the CA to issue certificates that has longer than the default age (2 years) you must run the following command line on the CMD on the CA server. 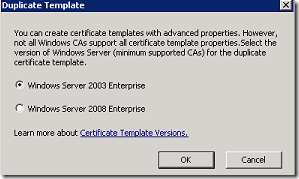 Now when you try to generate a new certificate for your Exchange or any other app you should choose the new template which is 30 years valid.